Combine with a great experience of driving your own off road vehicle ( or enjoying the ride as a co pilot ) with the opportunity to learn about the way the local people live. You will follow our experienced guides by driving between beautiful rice fields, pass the rain forest and drive up the mountain. It doesn’t matter if you have ever driven a buggy before Furthermore no driving license is needed. However the limitation for self driving is 16 years of age. The younger participants ( starting from 5 years of age ) can join the tour as a co-pilot ( passenger ). ​After arrival in our starting point and having received your welcome drink, you will get started by watching the instruction and safety video video and practicing your vehicle on our training circuit. After a short training on our practice spot, you will be able to operate it yourself and start for some 2 hours of an adventurous sightseeing tour. You will see a part of Bali where old traditions are still alive through the jungle, rice fields, mud tracks, plantations, & villages. 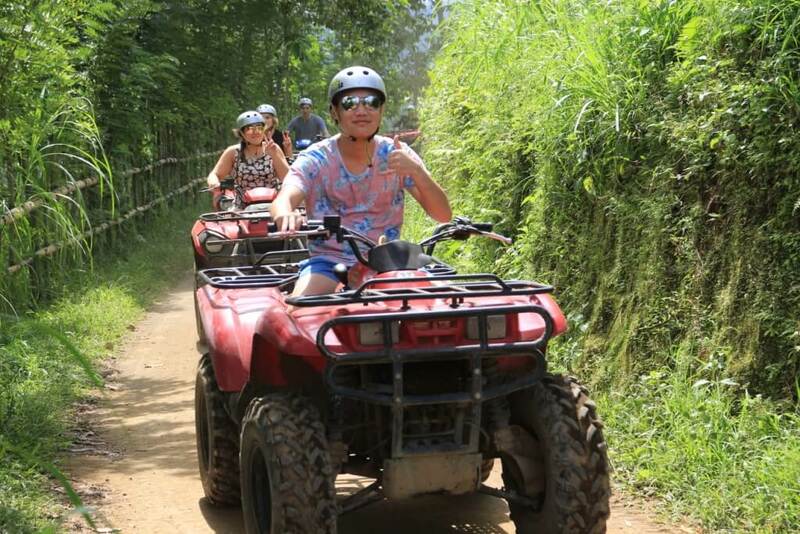 ​Buggies & Quad bikes can be combined in the same tour, as both vehicles use the same tracks. 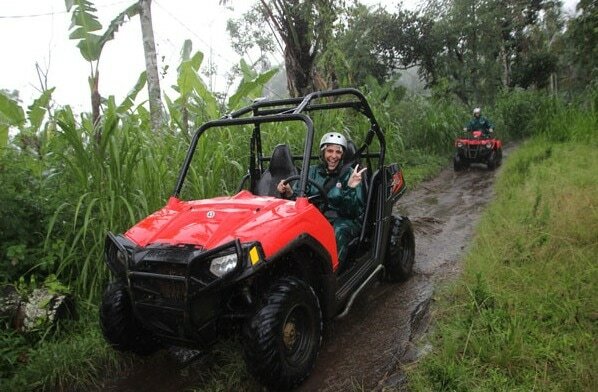 If you prefer, you can ride as a passenger with someone from your group or our one of our guides. 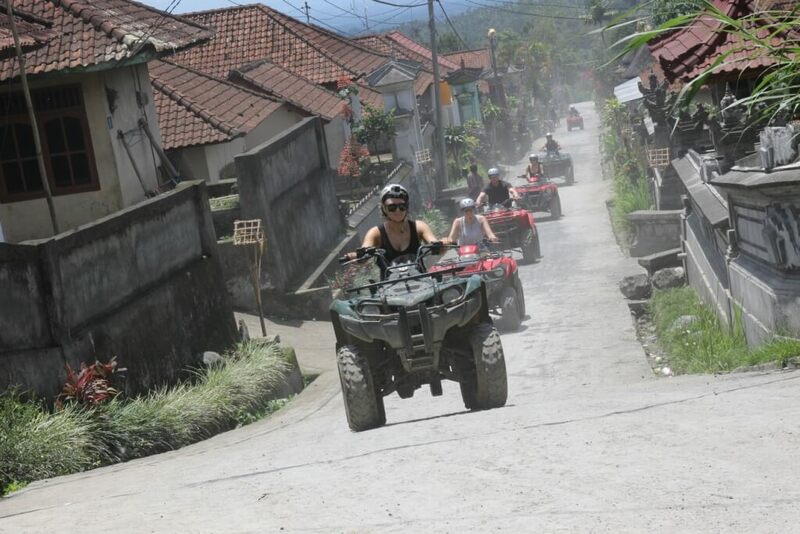 Get ready to get dusty & muddy as you drive yourself through 5 different types of authentic Balinese terrain! 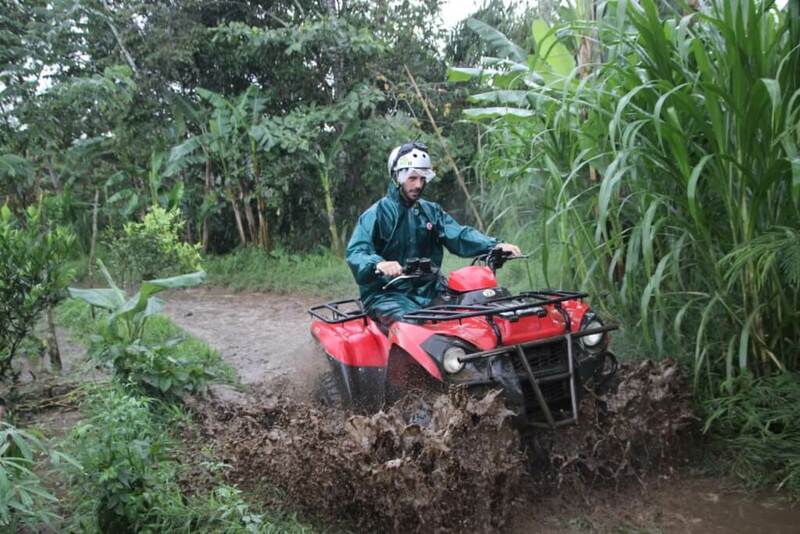 Enjoy the quad bike adventure through rice fields, plantations, crossing the jungle, mud tracks, and 2 traditional villages! 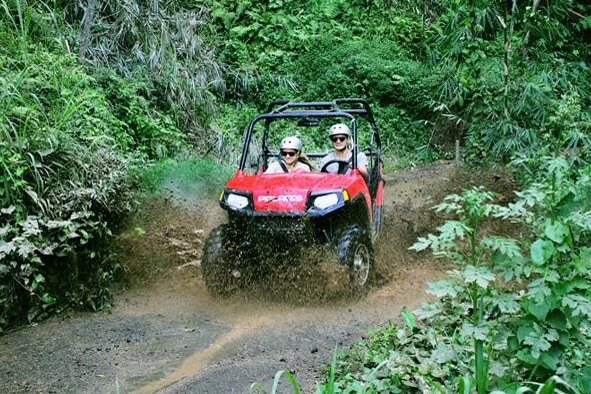 Quads are fully automatic & easy to operate, but if you prefer, you can ride as a passenger with somebody from your group ​or our one of our guides. ​All of tours are accompanied by experienced guides. Also, groups will be split up into different groups, based on driving skill, to make sure that each tour is catered to your liking.